The next upcoming National Library Workers Day is on Tuesday April 9th 2019. National Library Workers' Day is held annually on the Tuesday of National Library Week, which is held every year in the month of April. The day is to recognize the contributions librarians make by having awards as well as food being brought in. National Library Workers day is not a national holiday but rather an observance to bring attention and reward our librarians in the United States for their hard work and dedication. Librarians have a vital role in the overall reading done in our country and help make the observance Read Across America Day a day for our kids to read and set reading goals a reality. 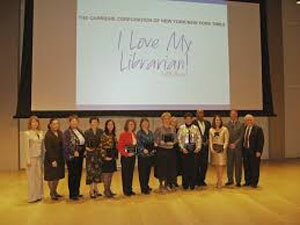 This day was first celebrated in April 2004 and has since been an annual observance celebrating librarians contributions to the library system in the United States.